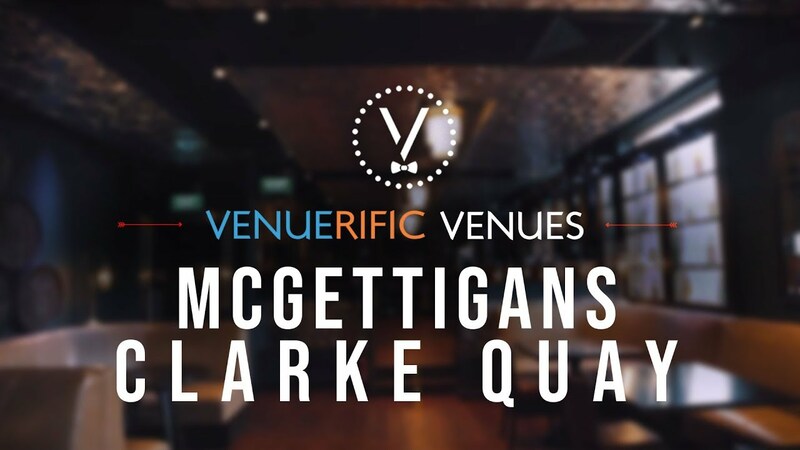 McGettigan’s Clarke Quay is the perfect venue for events from Dinner & Dance, Product launches, Corporate gatherings/parties/celebration to even that special birthday. The team at McGettigans will work closely with you to create the perfect package for your occasion. It is the perfect party venue in a central location with a capacity of up to 300 people. With a mix of set up styles available for seated or cocktail events, a private bar, an extensive range of beverage options including a rare Whiskey and Scotch collection, and an excellent range of menus and catering options from our onsite chefs. The venue is also equipped with modern audio and visual facilities. With a dedicated event and party planning team, at McGettigan's Clake Quay can ensure the success of your event or party with tailored packages available on request.